These small rubber balls are incredibly bouncy, hence the name Superballs! 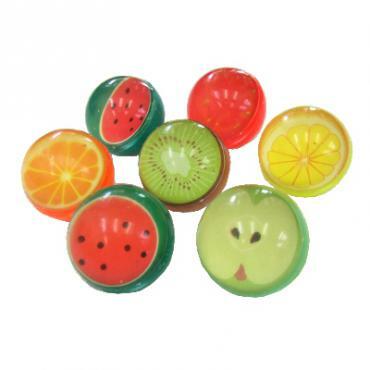 With their fruity design, they are ideal for games like Kingyo Sukui or as giveaways or party favors. These small rubber balls are incredibly bouncy, hence the name Superballs! With their fruity design, they are ideal for games like Kingyo Sukui or as giveaways or party favors. We also sell packs of larger size balls.